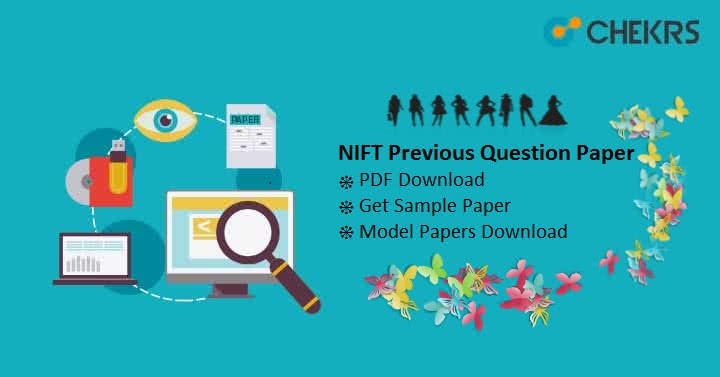 NIFT Previous Year Question Paper: National Institute of Fashion Technology (NIFT) Conducts the Entrance exam every year to provide admission into various UG PG courses. Most Probably the NIFT 2019 will be held in January. Which is not so far, and I guess you have already started the preparation for it. If yes, Then what about NIFT Sample Papers and old papers? I know Sample Papers, Model Papers, and Previous Year Question Paper will be beneficial for you in your Preparations. And that’s why we have prepared this article to collect all the available NIFT Papers at a single Place. All the interested candidates can download the provided NIFT Previous Year Question Papers for UG and PG Courses. These Papers are collected from many online sources. Credit goes to them. Just Download the relevant Paper for you and start solving them. For Admission into Bachelor of Fashion Technology ( B.F.Tech) and Bachelor of Design ( B.Design ), You can use these NIFT Previous Year Question Papers We have included last 7 Years Papers and we will update this table soon. For Admission into Master of Fashion Management (MFM), Master of Design (M.Des. ), and Master of Fashion Technology (M.F.Tech) you can consider all given NIFT PG Previous Year Question Paper from the below table. Luckily we have found some NIFT Sample Papers on the internet, and we are including all of them here. Download the Sample Papers according to your need and start solving them. So after downloading these NIFT Previous Year Question Papers in (PDF). Start solving them. While you are solving these papers, observe which questions or topics taking more time. Also, match the answers and if found any wrong answer, prepare the topic again. In this way, you can increase your efficiency and performance in the NIFT 2019 Exam. Good Luck and Keep Visiting.